← Naked Ghost Hunters And Vampires And Drunk Bears, O My! So the other day I was in Lucky’s looking for a reasonable price on Mach 3 razor blades because men’s razors are so much better than women’s. It annoys me. They make the good, long-lasting, quality razors for men and make ladies razors second-rate in pretty colors like pink and lavender. But that wasn’t enough. Oh no, it wasn’t bad enough to infantalize us, now they have to insult us as well. See? I’m not high! These Twilight razors have lavender-scented handles. Really? Is that necessary? But wait! It gets better! 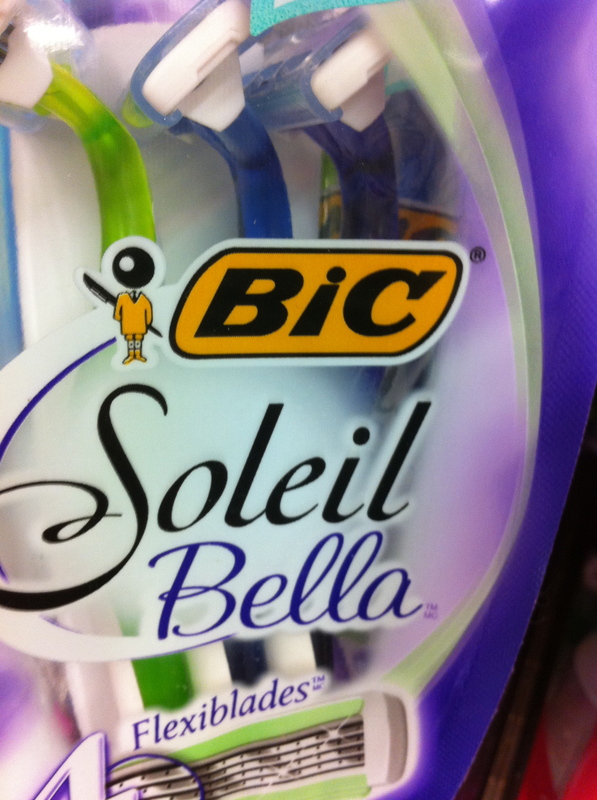 The Bella razors have “exotic scented handles.” This is ridiculous. I need to shave my bits with smelly handles on my razor? Do the men have exotic smelling handles on THEIR razors? I’m thinking, no. 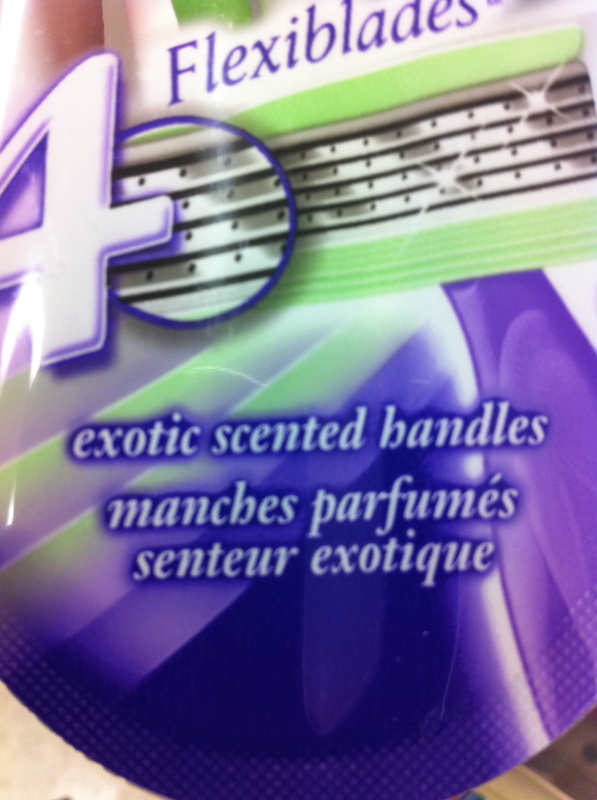 And what scent exactly is “exotic”? Is it musk or plumeria or sandlewood or goat? 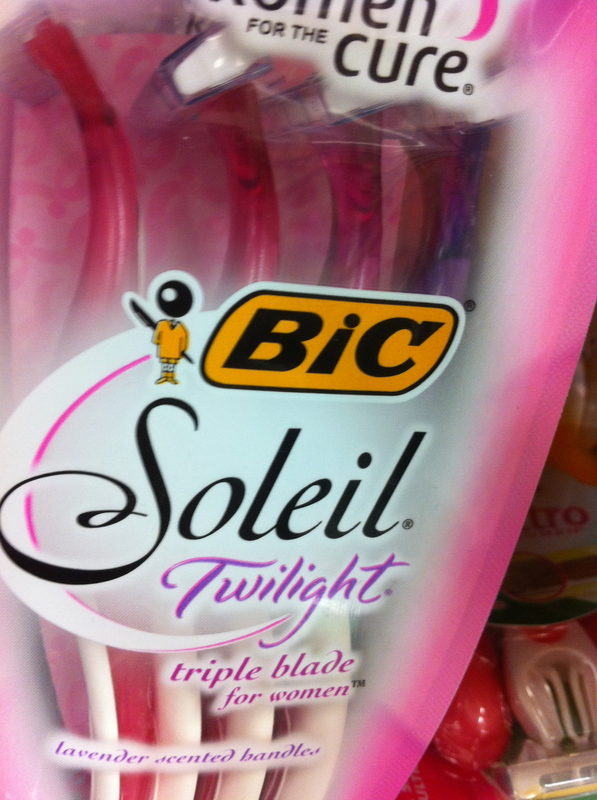 The price for these douchey Twilight razors is $6.99 while the regular razors are $5.99. Do you really want to pay an extra dollar for an exotic scented razor for shaving your peesh? Think about it. Personally, I would rather just use my matte black Mach 3. Posted on December 17, 2010, in Uncategorized and tagged bella, grocery stores, mach 3 razor, razors, twilight. Bookmark the permalink. Leave a comment.